Eleven-year-old Frank Neuhauser of Louisville was the first spelling bee champion crowned on the word gladiolusto; he won $500 in prize money. What started as a promotional event for the Louisville Courier-Journal and few other newspapers in 1925 is now a world-wide phenomenon that was launched into competitive popularity by ESPN in 1994. The champion now receives $40,000 cash from Scripps, the Scripps National Spelling Bee engraved trophy, a $2,500 U.S. savings bond from Merriam-Webster, $400 of reference works including a 1768 Encyclopædia Britannica Replica Set Deluxe Edition, a three-year membership to Britannica Online Premium, as well as a trip to New York to appear on Live with Kelly. 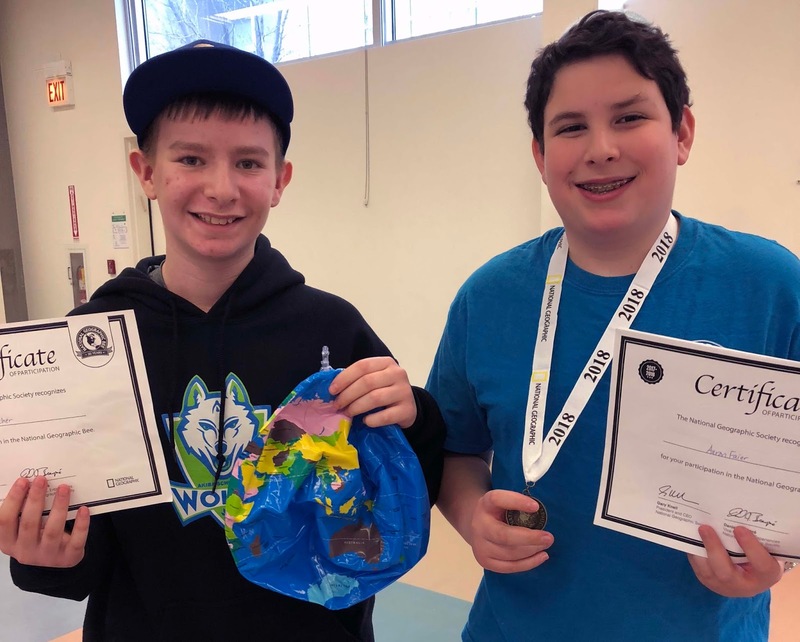 The Bee has come a long way, and I was concerned about this since we have our Spelling Bee this week and just wrapped up our Geography Bee last week. Learning is not a competitive sport. It should be a collaborative activity that one challenges oneself and is supported by others. I worried that the high-stakes Bee might create an unhealthy atmosphere of competitiveness among our students. I feared that it would overshadow the beauty of learning, the sophisticated syntax that makes up the English language. However, last Wednesday, I watched the Geography Bee, and I realized my fears were unfounded. During the Bee's final rounds, I saw a group of Akiba students sitting together, answering difficult geography questions and showing support for each other. There was no sense that any child was there to "win" against another. Although each child was on his or her own, there was a sense of support, care, and cooperation. There was a sense of team. There was a sense of Akiba. Congratulations to Aaron Faier who won first place and to Ezra Erlebacher who won second place at the school Geography Bee. Aaron moves on to compete at the state level, and I look forward to another display of beautiful learning at the Spelling Bee.